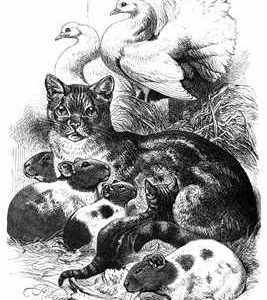 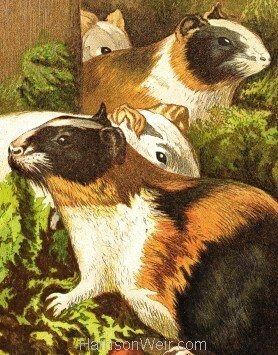 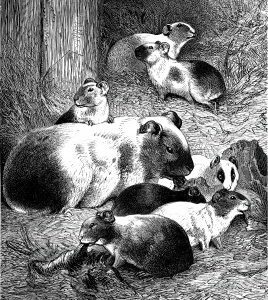 A bold, richly coloured print of Guinea Pigs, that appears in a book entitled “Harrison Weir’s Pictures of Birds – and Other Family Pets”, published circa 1877 by The Religious Tract Society. 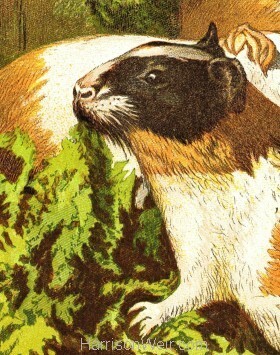 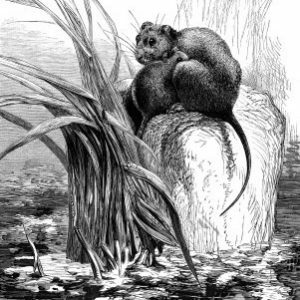 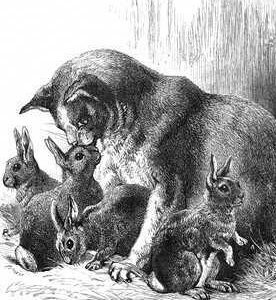 One section of the book has a chapter called “Frank and his Pets” and features this image among others. 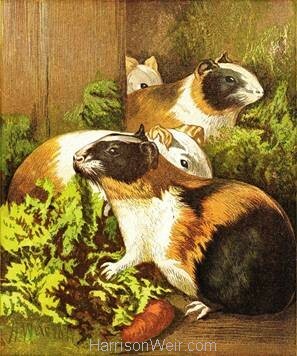 An ideal gift for the young pet owner who has Guinea Pigs. 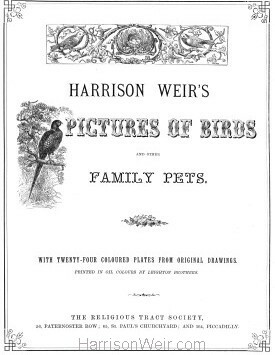 Available in A4, A3 and a very colourful and bold statement in A2.